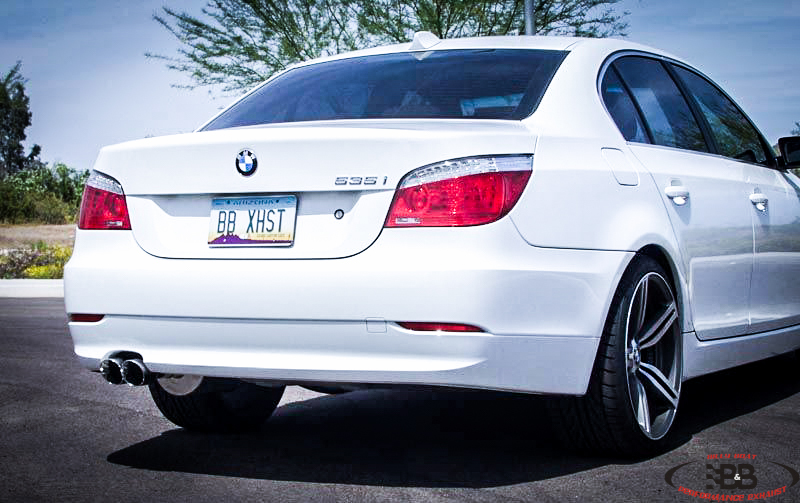 Have the best exhaust available for your E60 535i with this B&B axle back exhaust! With the outstanding success of the B&B 545i exhaust, B&B has decided to introduce their all new BMW 535i axle back exhaust. 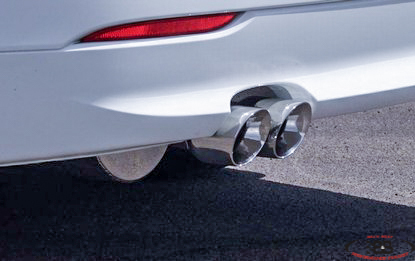 The market is starved for exhaust systems for the BMW E60 535i. 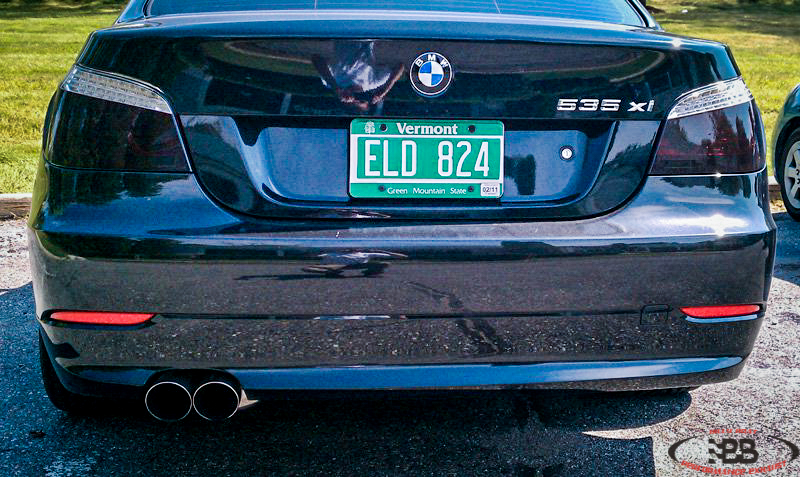 B&B has decided to be the pioneer in this field with this hand crafted, quality exhaust systems for the E60 535i. 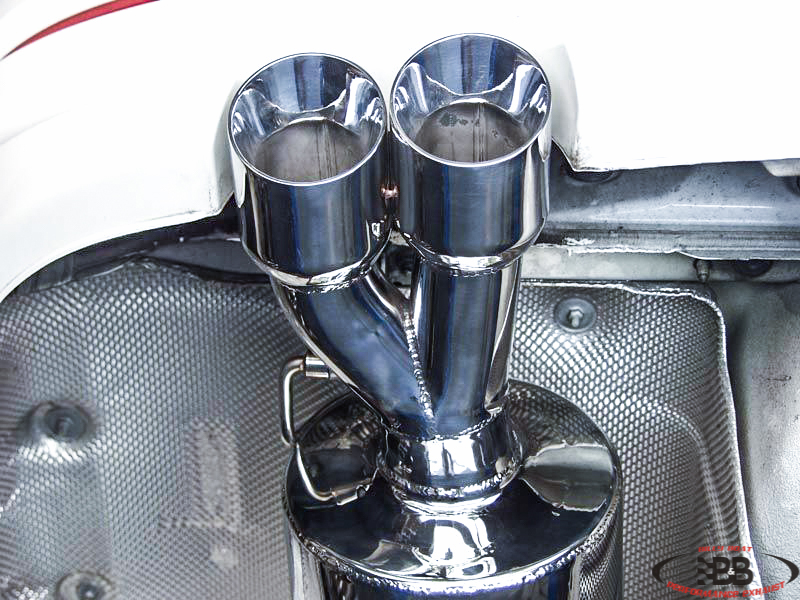 Precision crafted using 100% T-304 stainless steel and mandrel bending, this exhaust system is manufactured as a easy replacement for the factory system. By utilizing the factory mounting locations this system requires a single cut of the factory system and a supplied clamp for installation. All Billy Boat Performance Exhaust systems for the BMW E60 535TT come complete with mounting hardware and are direct replacement for stock exhaust systems. Attention to detail in manufacturing means easy installation. No machining. No down time. 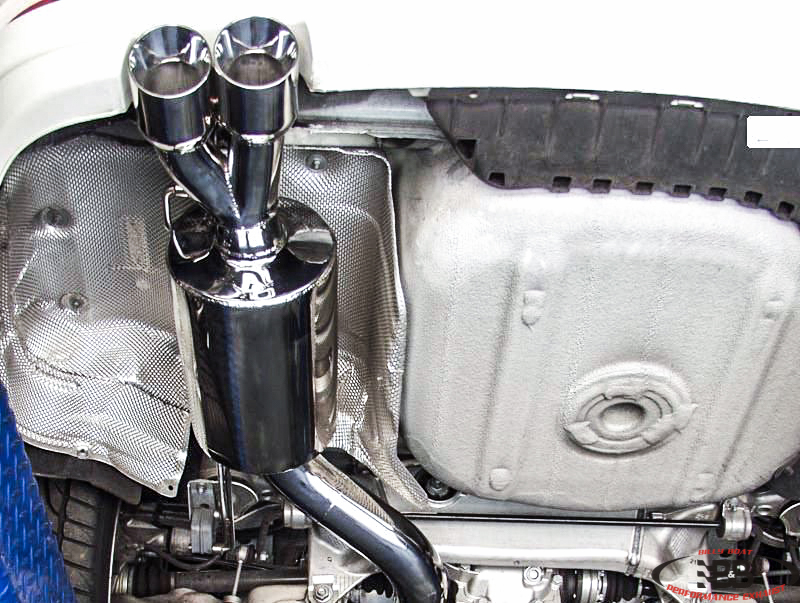 Just a faster, better sounding, better looking BMW E60 535TT Exhaust right out of the box. Guaranteed for life against corrosion, rust or burn through and two years for materials and workmanship. 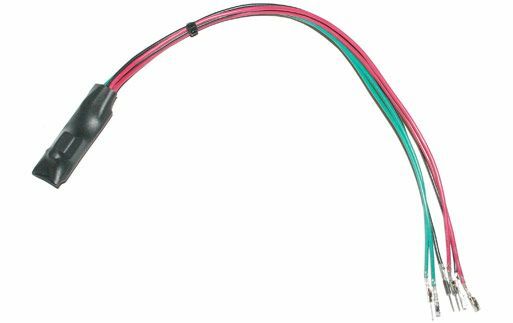 Billy Boat Performance Exhaust line of performance exhaust for the BMW E60 535TT incorporates the latest in resonance control technology, B&B’s proprietary Purge Resonance Technology or PRT as it is known. Completely reengineered the PRT system allows you to have a mild exhaust note at cruising speeds yet a forceful note on aggressive driving. The complex yet simple design gives you the increased sound and performance you are looking for with its straight through design on moderate to hard acceleration and then the unique purge chambers cancel out the unwanted interior noise during low rpm cruising speeds. The development team here at Billy Boat Performance Exhaust did extensive testing on the muffler exhaust system for the BMW E60 535TT , looking at the both the 3.0" exhaust and the 3.5" exhaust. We found the best performance and best turbo spool-up to be with the 3.5 muffler system, which is slightly larger than the factory system. This allows us maintain the low restriction muffler for quick acceleration, while gradually increasing the exhaust velocity throughout the system for greater horsepower and torque. 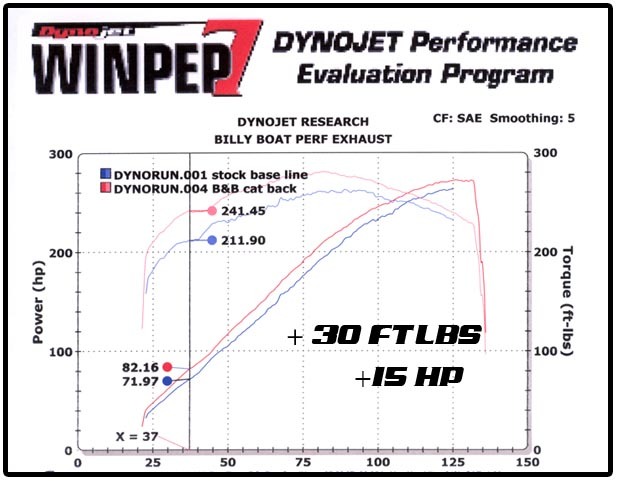 These results have been confirmed by the chassis dyno and by our customers. 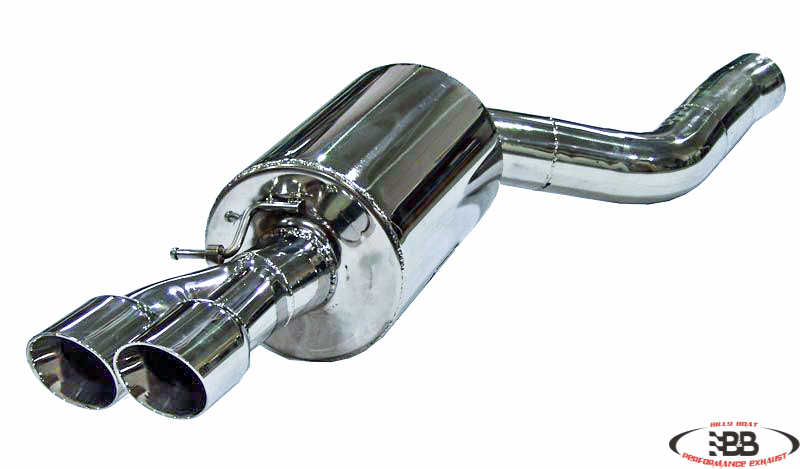 The use of our PRT muffler design keeps the tone aggressive yet unobtrusive.